Robbie O'Connell was born in Waterford, Ireland and grew up in Carrick-on-Suir, County Tipperary, where his parents had a small hotel. He began to play guitar and sing at age thirteen and soon became a regular performer at the hotel�s weekly folk concerts. He spent a year touring the folk clubs in England before enrolling at University College Dublin where he studied Literature and Philosophy. During school vacations Robbie worked as an Irish entertainer in the U.S.A. In 1977, he joined the Clancy Brothers with whom he has recorded 3 albums, and two years later he moved to Franklin, Massachusetts. With the release, in 1982, of his first solo album, Close to the Bone, Robbie emerged as an artist of major stature. Soon after, he began touring extensively with Mick Moloney and Jimmy Keane, and also with Eileen Ivers and Seamus Egan in the Green Fields of America. In 1985, the trio's first album, There Were Roses, was released. Robbie also participated in The Festival of Mountain Music and Dance on a five nation tour of Latin America. In 1987, the trio followed up their very successful first release with the album, Kilkelly, the title track of which was voted "Best Album Track of the Year" in Ireland. 1989 saw the release of a live concert recording of the Green Fields of America. Never Learned to Dance, his 1993 album of original songs, was critically acclaimed on both sides of the Atlantic. In 1994 he headlined a celebration of Boston based Irish Music at the Lincoln Center for the Performing Arts. Older But No Wiser, his last CD with the Clancy Brothers was released on Vanguard in 1995, followed in 1997 by the Clancy, O�Connell & Clancy CD and in 1998 by The Wild & Wasteful Ocean, with Liam and D�nal Clancy. 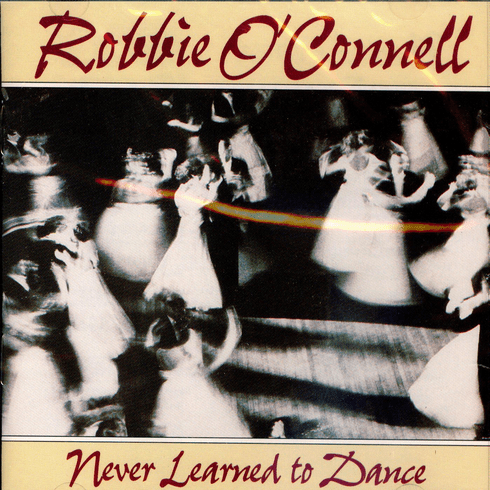 Robbie O�Connell Live, Humorous Songs and All On A Christmas Morning with the group Aengus, were released in 1998. A retrospective collection album is due for release in 1999.